We first saw this kingfisher from the car, on the way to Caylabne. This is our second kingfisher! We have since seen many kingfishers but they are a nice bird to watch since they like to stay still for a long time. They can often be found sitting on the electric/phone wires. They have a very distinctive blue wing, but they derive their name from the small white patch on their throat. The White Throated Kingfishers in other places like Singapore have a very big white throat, unlike the ones we usually see around the Philippines. 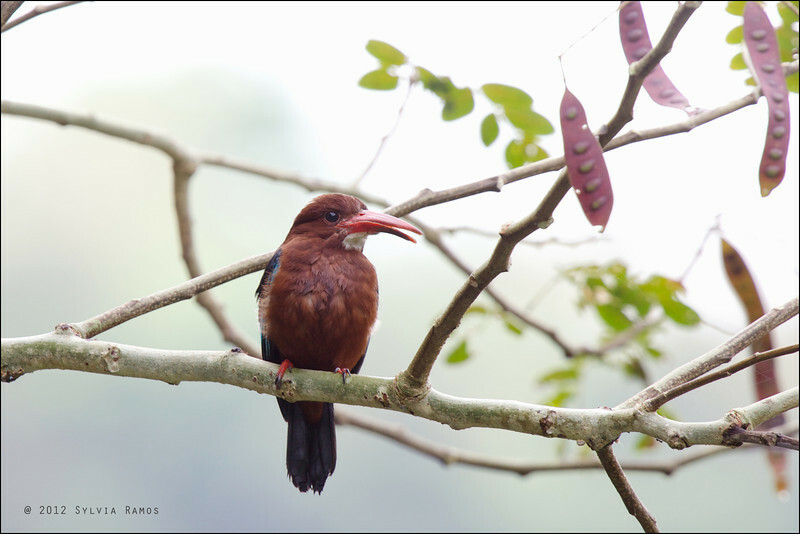 WHITE THROATED KINGFISHER Halycon smyrnensis Mt. Palay-Palay, Cavite, Philippines The bill of this Kingfisher has a defect.